Writer Help Wanted Review-Can This Website Help You To Find a Writing Job? As a freelance writer myself, there are many writing programs and scams out there that I come across every single day. One of these programs is Writer Help Wanted. When I first came across this program it was due to me looking through the Clickbank marketplace and coming across it there. My experience with Clickbank has taught me that nearly every product and program the website promotes is a scam. Does the same hold true for Writer Help Wanted? Let’s jump right into my Writer Help Wanted review to find out. Writer Help Wanted is an online writing membership that helps writers to make money online. This program does this by teaching aspiring writers to improve their online writing skills and helps them to find online jobs by pointing them in the direction of reputable freelancing websites. Writer Help Wanted is a program that is primarily targeted to those who want to make money online. But more specifically it is targeted to those who want to become aspiring writers online. As far as I could find, there really is no support that is offered other than what you will find from other members, but even that support is slight. This training module is dedicated to teaching writers the many different ways they can make money online by writing. It will give members different creative ideas to utilize so they can make money based upon their desires as well as some tips to help get writers into the market. This training module will teach you how to find plenty of writing jobs online and how to help writers qualify for those jobs. This module will also teach you how to form a successful business strategy to keep your workflow coming, give you creative ways to find more writing jobs as well as how to avoid writing scams. This training module will help you to establish yourself as a full-time writing service and help clients come to you instead of you seeking them out. This module will help you do this by helping you to find a specialty that will help set you apart from the competition, how to price your services effectively and how to avoid common mistakes while working for clients. 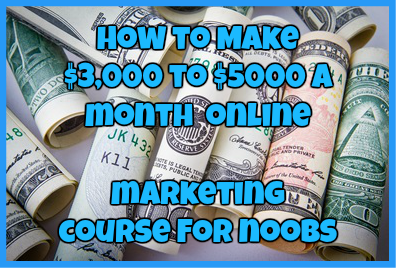 This training module will help you to find a niche that you will love writing in and that will help you to earn an unlimited amount of income. It will also help you to set up various systems that will help you to make money passively and while you are sleeping. This training module will help you to grow confidence as a writer and to help you connect with your audience by tweaking your particular writing style voice. This training module will also help you to learn how to write persuasively so your future clients will purchase your services without hesitation. One of my main issues with this program are the income expectations that it sets. For example, right on the homepage this program claims that it can help you make $1,500 per week just starting out. Even if you writing is spectacular, if you have no experience writing online, it is almost damn near impossible to make this much. Even after 5 years of freelancing online I barely make this much a week from it, let alone a complete newbie making it right out of the gate. Not only is this amount not feasible, it is damn near impossible especially if you do not have any experience. On top of that, if you take a look at the income disclaimer on the site, you will see that the website doesn’t guarantee it at all. If it is not guaranteed, why mention it at all? One of the surprises I had when first looking at this site were the sheer number of testimonials I found right on the homepage. However, after careful inspection and looking at the Testimonial disclaimer, I quickly learned that they were not as legit as many people think they are. While great effort is made to ensure that they are factually honest, we are not liable for errors and omissions. Aside from human error, some information may be provided by third parties, such as as customers or product/service providers. What this means is that while this site tries to keep the testimonials honest, if they are faked they are not held responsible (which makes no sense honestly. Basically they are saying we don’t give a f***). 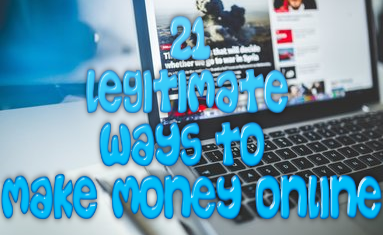 It also means that some of the testimonials provided can come from third party providers such as faked testimonials from fiverr.com, which it seems most of these testimonials are from. I don’t know about you but the creators of this site claim out right that their testimonials are most likely fake and they are not at fault. If they are faking their testimonials this tells me that they may be faking everything else they have claimed such as the amount of money you can make, what each module can teach you and their overall authenticity altogether. Another thing that I don’t like about this product is that most of the info provided can literally be found online for free. Why pay $27 to $47 for a basic membership with Writer Help Wanted when you can do a simple Google search and find all of the same info for free? Aside from this review, you will probably have a hard time finding actual factual reviews and complaints left by actual members. I had the same issue when looking for more information about this program as well. However, this is what I have been able to find in regards to Writer Help Wanted complaints. After carefully looking at Writer Help Wanted, looking at actual complaints left by users, looking through all of the training modules and taking into some consideration the various disclaimers that are left on the site, Writer Help Wanted is not a program I can highly recommend. While it is legit, there are a few things that are troubling. Honestly, if I were you I would be wary of paying for a membership with this site. However, it is worth a try if you have the money and you can learn a few helpful things about it in the process. Have you tried Writer Help Wanted? If so, what did you think about it? Regardless I would love to hear from you. Just leave me a detailed comment below. ← LegitWritingJobs.com Review-This Site WON’T Help You To Find a Legit Writing Job! The Ultimate Product Monster Review: Can It Make You Into A Marketing Monster?